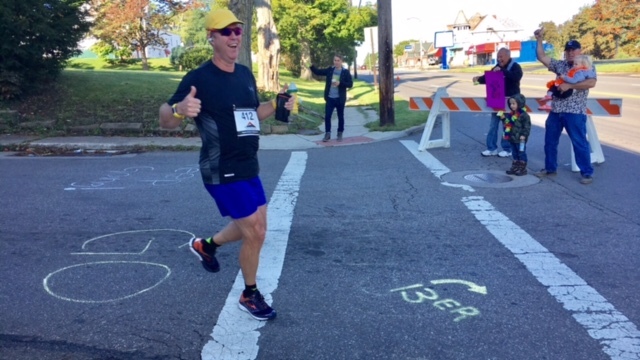 By 7:00 a.m. Saturday the GoMissions team was ready for action downtown Mansfield as we provided drinks and cheered on those running in the Spherion MidOhio 13er! Here are just a couple of shots. We used sidewalk chalk to write encouraging words on the street, and rang cowbells loudly to encourage those running past us! Bill and others wore signs telling the runners what we were providing. As always Darlene had our missions booth looking great! GO Mark - everyone cheered even the little ones got into it! Taking your family to serve at a GoMissions event is such a great way to teach them about missions! It provides a platform for explaining why we need to serve others - both locally, nationally as well as globally. Later Saturday and Sunday again... I stood and looked at all the people that the Lord brought through our doors this weekend and am amazed that He allows us the privilege of leading! It's so humbling to work on projects, watch the time come for them to actually happen and see people come and get needs met! Oh my goodness what an honor to watch my brothers and sisters in the Lord worshipping, serving, caring for others just being the church! And our church was definitely hopping this weekend! 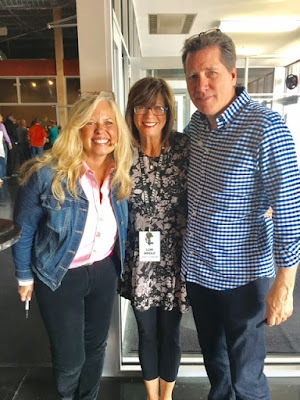 We had the honor to welcome Les Parrott to speak in our weekend services and then for the Parrott's together to lead us in the Fight Night event. Everyone was so blessed and had such a great time together! 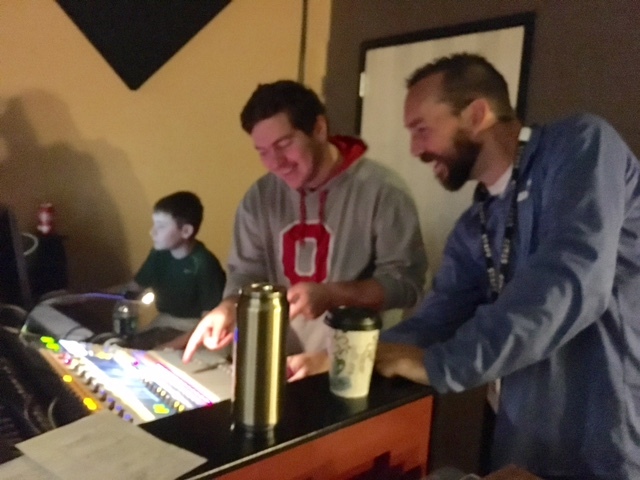 As I sometimes do, while amazing things were happening in the auditorium, I wondered around Crossroads and watched the behind-the-scenes ministry that takes tons of organizing in order to care for all of our Crossroads' Kids and teens - just pure joy to see them growing in the Lord! Here are some pictures from the weekend! Biblical truths to our kids that will shape them for all of eternity! Our student ministry praise team lead the youth in worship! student ministry room with Dylan! Our praise team lead us in worship in the big room! The response to Fight Night was unbelievable! Les and Leslie are amazing communicators! Felt like we'd been friends for a long time!